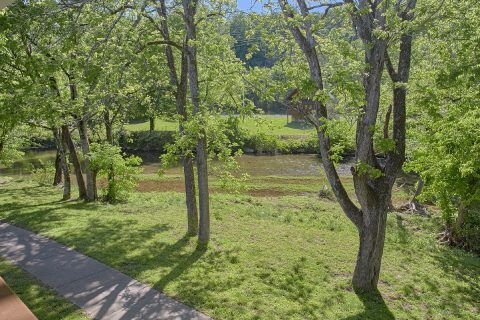 Nestled in on the banks of the Little Pigeon River, there's a vacation rental that's perfect for a fun family getaway in the Smoky Mountains of Tennessee! 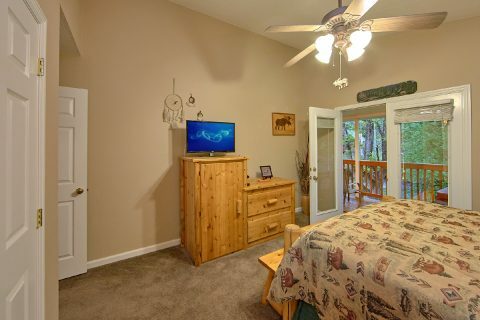 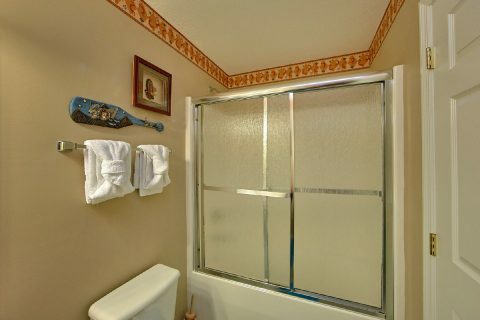 "Bear Paw Chalet," a 2 bedroom vacation home that sleeps 6 guests, offers vacationers a prime location in the Smokies and a great set of amenities. 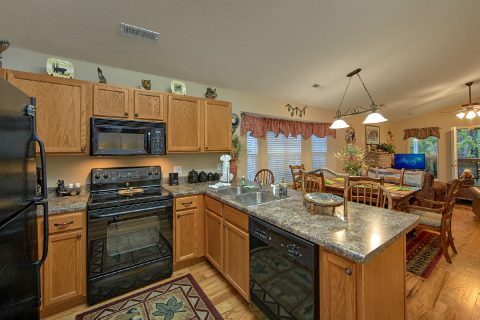 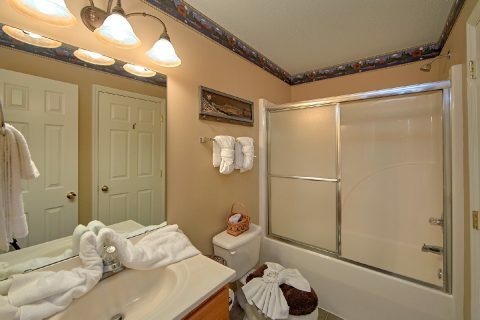 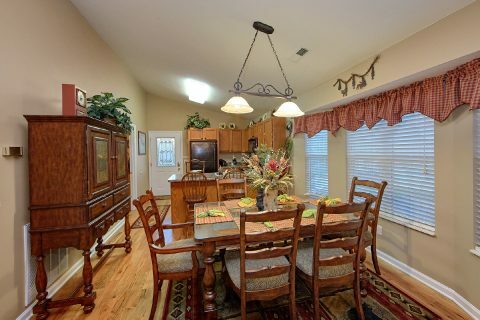 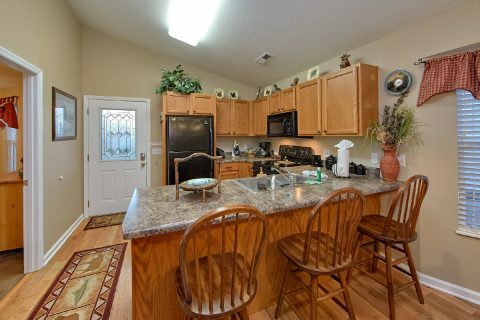 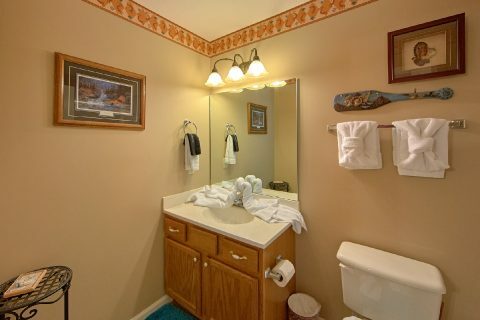 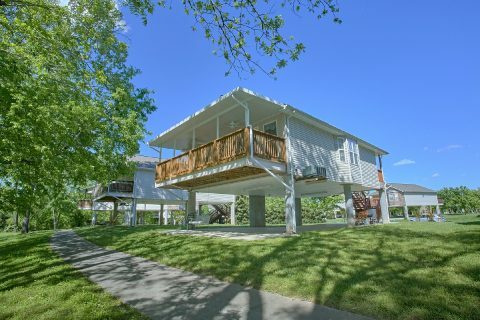 Since this rental rests less than a mile from the heart of Downtown Pigeon Forge, visitors staying at this vacation home can enjoy quick access to destinations like The Island, Dollywood, and more. 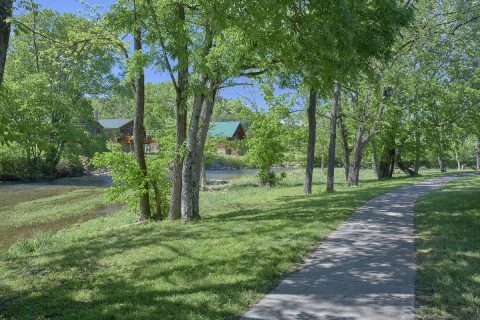 Additionally, since the Pigeon Forge Parkway provides quick access to Downtown Gatlinburg and the Great Smoky Mountains National Park, there are tons of beautiful sights to see just a short drive further. 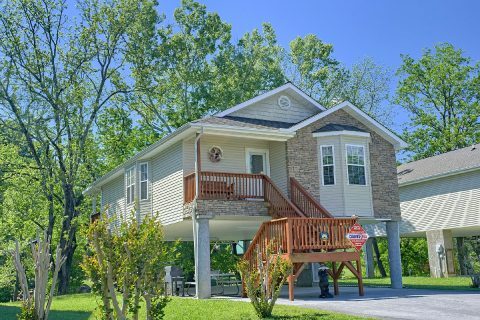 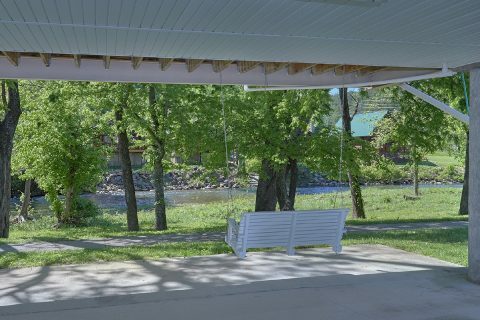 When you aren't busy experiencing the best the Smokies have to offer, you'll love unwinding at this rental with a peaceful riverside view. 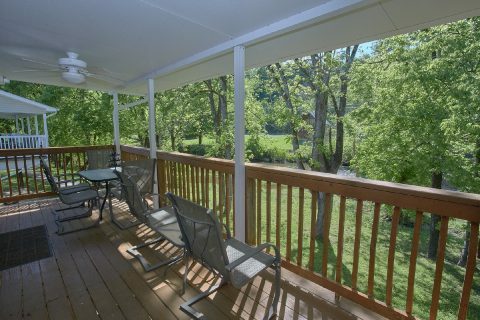 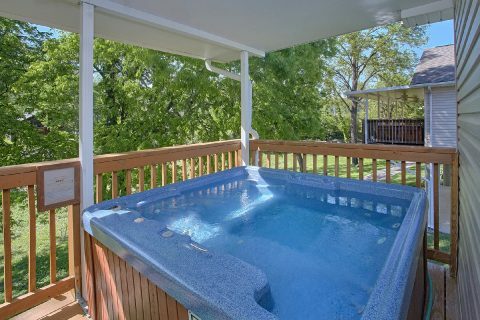 From the deck, you can enjoy views of the river while you kick back in your rental's outdoor hot tub. 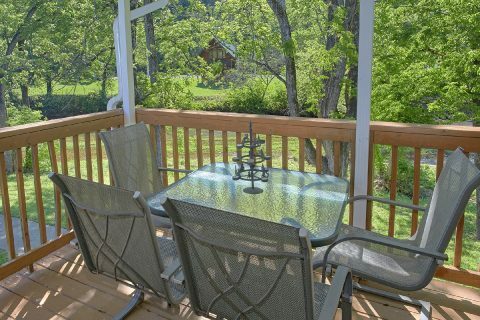 For even more fun outside, you can fire up the charcoal grill and eat a tasty meal on the picnic table. 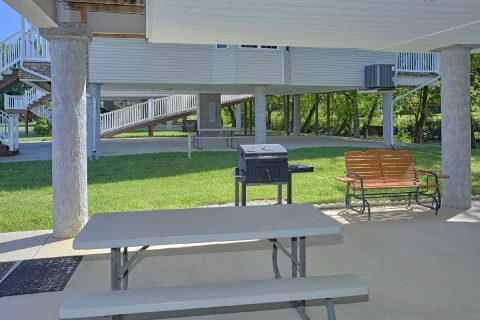 Additionally, there's a covered neighborhood picnic pavilion a short walk from this rental that's perfect for hosting a cookout as well. 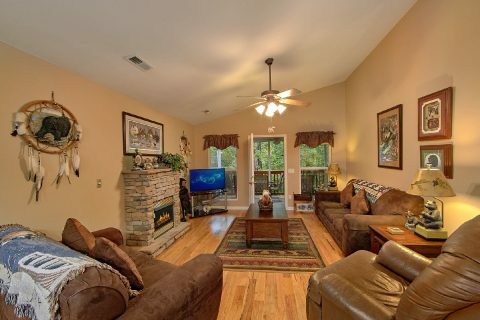 After a great day exploring the mountains, everyone can gather in the cozy living room to unwind by the warm, gas fireplace. 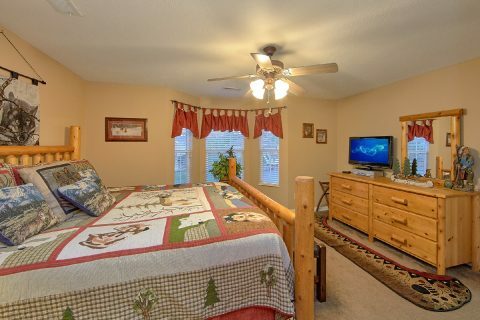 When it's time to get some sleep, you can look forward to staying in one of this rental's two bedrooms that both provide flat-screen televisions. 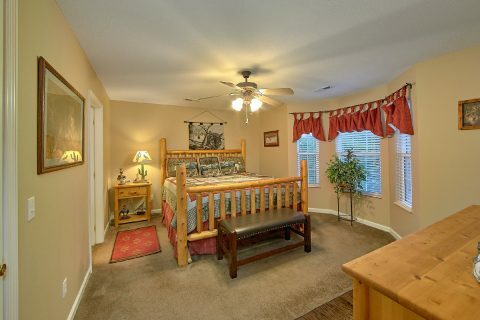 With a king-size bed, a queen bed, and a sleeper sofa, this rental will sleep up to 6 guests comfortably. 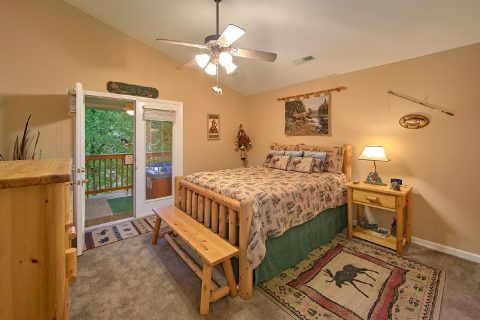 Book "Bear Paw Chalet" in the Great Smoky Mountains of Tennessee to save 15% on your nightly rate when you reserve this rental online with Cabins USA Gatlinburg!